Wow, you wanna talk about extraordinary women entrepreneurs? She’s been taking what we’ve been learning over the past year inside of Elite Marketing Pro and has applied it to a “social” network that is overly RIPE for our beautiful network marketing profession. There was recently a “sit down” with Gloria, on what exactly she’s doing…and she did not disappoint! So if you’re wanting to stay on top of the newest cutting edge strategies for building your network marketing business, you’ll want to get through this entire post, ’cause there’s some ninja tactics to learn! *Oh, and I’ve taken some stuff out to make it as short as possible – (like telling her story of struggle, and getting back into Network Marketing)… and here’s where I cut right to it and give you the nuts and bolts! 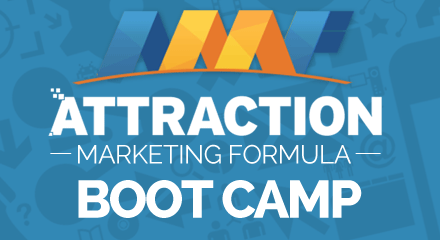 A post popped up on Facebook talking about “attraction marketing” and it got my attention. I was already coaching network marketers, so I decided to check it out. Thinking if this was something that could help my network marketing coaching clients, I needed to know about it. Lo and behold, it was Ferny Ceballos! …talking about Elite Marketing Pro. As of last September, a year ago when I started in this journey, I had probably posted on Facebook fewer than 10 times in my life. It just wasn’t something I did. I had an assistant who did a little bit of posting for my previous business, but I hadn’t posted much on Facebook. So I got going and got results right away! I had a profile already, and a fair number of connections, though they had nothing to do with the network marketing industry.So I started fooling around on LinkedIn and really digging in. LinkedIn is a place where BUSINESS is done. We talk about it being a “Social Media” platform — but it really is a BUSINESS platform. And I found I could connect with people so much easier on LinkedIn! People were raising their hands and sharing their virtual resumes telling me they were currently “working at” a network marketing, direct selling or simply entrepreneurs. So I knew for sure they were perfect for what I had! And I could connect with them. Then, I used all the strategies that I learned through Elite Marketing Pro, all the things they teach about attraction marketing, and applied them to LinkedIn — and it worked! And I did it all for FREE and didn’t even pay for LinkedIn’s higher level memberships. I was using the FREE version of LinkedIn and it worked! Now, I’m not saying LinkedIn is better than Facebook – it’s just different and fit my personality. I looked at it like…this is a place where business people are, and they’re here to do business. So it’s upscale.Thus, I wasn’t going to be worried about people not being able to afford what I had to offer. My strategy worked because of how well I could target people in the opportunity space, who had money! Also, I found that people on LinkedIn are very happy and eager to pick up the phone and have a business conversation with you. It’s easy to target people who are interested in weight loss. Or if you have a product for vegans, it’s easy to target people on LinkedIn who live a vegan lifestyle and are looking for information. You can target those kinds of things on LinkedIn as well. I happen to be targeting people in the opportunity space, but you don’t have to necessarily target them. It’s a fairly simple process. First, you decide WHO your target audience is, who you really want to focus on. Then you target those people. And invite those targeted people to connect with you. In fact, I only invite targeted people to connect with me, and I only accept invitations from targeted people. All kinds of people might ask me to connect with them and I just choose not to accept them. You can if you’d like, of course. But I choose not to, because I want to be super-targeted and focused on who I am and who my messages are going to. Obviously, it’s worded more carefully, but that’s the gist of it. And I provide a link to a freebie, like what Elite Marketing Pro provides with their system to collect leads. Then, I stay in touch with people. Just like Facebook, LinkedIn will let you know when a contact has a birthday, but they also let you know when they have a work anniversary, or when they’ve changed jobs. So I send messages at all those times with links to different offers and invite them to subscribe to my email list. So I’m building my e-mail list as well. Next, I do regular posts on LinkedIn. There’s also a feature where you put your own blog post on LinkedIn. They call it an “article” but for all intents and purposes, it’s a blog post. So I post on LinkedIn three times a day. Then, I send out invites to connect with new people every day. And I send messages to people, and I also endorse people, which is another feature of LinkedIn. You can endorse people for skills. So every day, I endorse people for skills and then after I’ve endorsed them, I send them another message. Every message I’m sending out has a link to a some free valuable info, in exchange for their contact info. Every post I’m putting out there and every article I write has a link to something valuable, which my target audience would be interested in. For example, I’m sure someone shared this link online and you are reading this now, because it adds value to you. It’s the same thing! Finally, I’m constantly staying in touch with my audience and offering them value—something that can help them build their business or income goals. In the social media world, this tends to be a taboo; posting a link or sending somebody a link. And sure, on most platforms, you don’t want to do that, primarily because people don’t like it. Therefore, they’re more open to hearing about what you have to show them from a business standpoint. Something that I’ve seen in trying to show people how to use LinkedIn effectively, is getting their heads around this idea that you can send a link. The very first connection you have, the very first message you send, send a link because people are serious about doing business there. Although we call it a social media platform, it really is a business media platform. People do not want to waste their time trying to do all the fake back-and-forth acting like they’re being social when they’re not being social. They’re getting down to business and that’s the beauty of LinkedIn. They’re there to do business. I post on Facebook 12 times a day, and eight of those 12 posts are inspirational, motivational, and things like that. Do NOT do that on LinkedIn! If you look at the Feed on LinkedIn, there’s not a lot of the inspirational/motivational stuff. Don’t post any pictures of your cute dog, or cat, or your kids! It’s not what the platform is for. People are there to find out about business, to find business opportunities, and to do business. That’s the beauty of it for the purposes of someone in the Elite Marketing Pro community. And you have the tools – especially if you are with EMP – to help them achieve their goals! One of the things you learn at Elite Marketing Pro is how network marketers can create multiple streams of income. So it’s not just about trying to get people to join you! It’s about offering them value, wherever they may be. If they’re looking for a home or a new opportunity, great! If they’re looking to commit further to what they’re currently doing, awesome! With Elite Marketing Pro, you can always provide a solution to what they need, either way. I love that you can be straight forward with people on LinkedIn. When I’m on the phone with a prospect from LinkedIn, right out of the gate, we’re talking about business. Because again, the whole basis is you’re there to do business. One phone call and I make sales—I just do. My link is always going directly to a offer page – nothing free! And I make sales all the time by offering something of value, something that’s going to help them move forward with their goals. They purchase that while I’m sleeping or while I’m out to dinner or doing other things to build my business. You can go directly to the sale on LinkedIn because, as I’ve hopefully made clear…it’s NOT about being social! Or what happened to their friend’s dog, or what they ate for lunch. It’s about doing business, connecting with people who are in business, and helping people find business opportunities. There are 500 million+ professionals on LinkedIn… and they are ready to talk business! So join us on Black Friday — literally the Friday after Thanksgiving — as Gloria is going to be doing an extensive 2-hour live training on how to use LinkedIn to connect with whatever target audience you want, whether you want to target people in the health space, in the real estate space, or in the opportunity space. Gloria’s strategies and tactics are very unique, and it won’t require you to spend a dime on advertising. And she’ll be revealing her breakthrough methods crushing it with LinkedIn to attract “cream of the crop” prospects, make more sales, and enroll new people. Yes, there will be a fee to attend, but it’s for charity, and like I always say: “It’ll cost you 10’s of thousands NOT to know the ninja strategies”!! You’ll be learning the new LinkedIn Recruiting Playbook strategies, at the same time helping end poverty in the developing world! It’s been a long time since I’ve been this stoked on something.